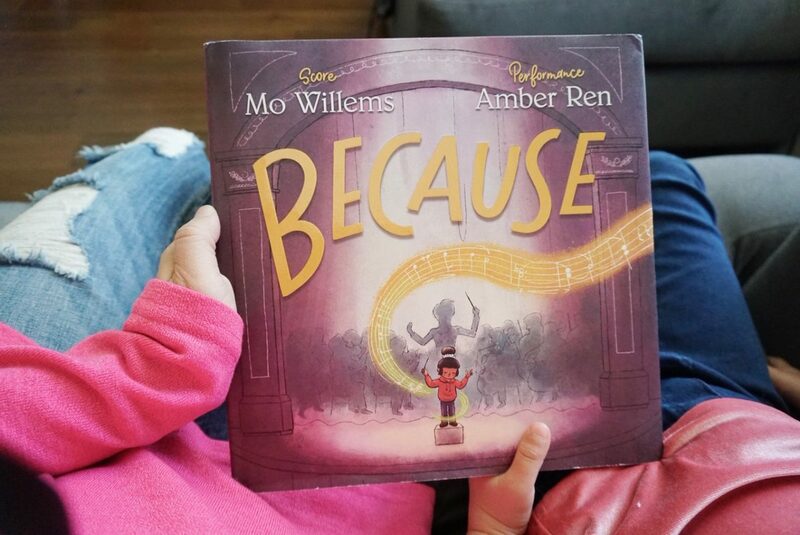 Because by Mo Willems is a wonderful book that is beautifully illustrated by Amber Ren. 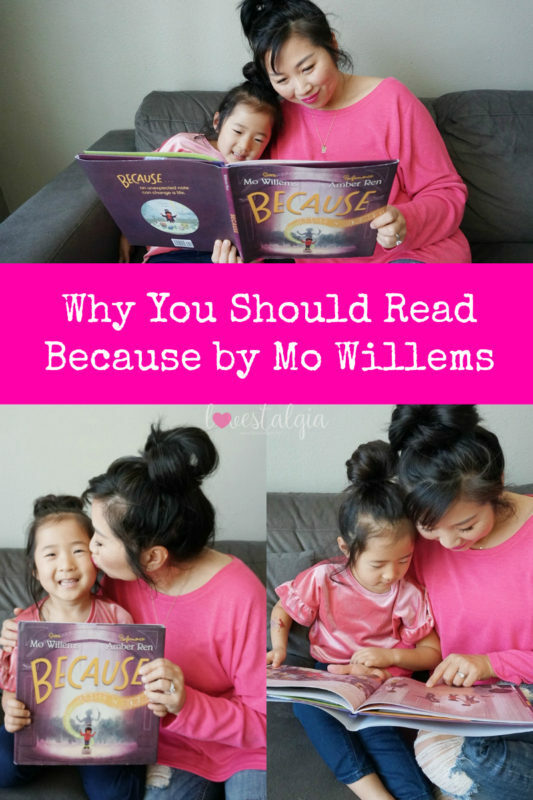 Most Mo Willems’ books are known for their humor but Because is a touching story that brought tears to my eyes. It was so moving and inspirational! The story is about a young girl’s journey to center stage. 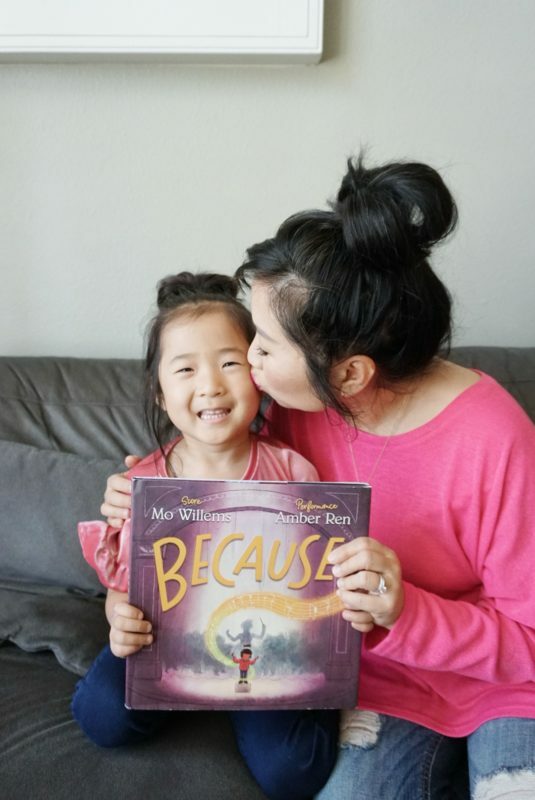 Because shows how chance, discovery, persistence and a little bit of magic play a part in the life of this little girl to change her. She was changed because she heard the beautiful music. Because of the change, she pursued music and became a musician and conductor herself. This leads to her being an inspiration and vehicle of change for someone else! Do you believe in chance or that things happen for a reason? I believe that things happen for a reason and the choices we make lead us to something else. When we are in the moment, we may not realize the effect or why. But later on, when we reflect on our lives it becomes clearer what lead us here. After reading Because, I thought about my own life and reflected on a few “because” moments. It brought back memories of my childhood and made me think about the life that I have now. Because my parents immigrated to the United States, we ended up living in Orange County, California. Because I lived in Orange County, I loved it so much that I ended up going to high school and college in this area. Because I didn’t move very far, I ended up going to the same church for many years where I met this guy. Many many years later, I met that same guy again who would later become my husband. Because I married him, we have this wonderful life with our daughter. If my parents stayed in Korea, my life would be so different! 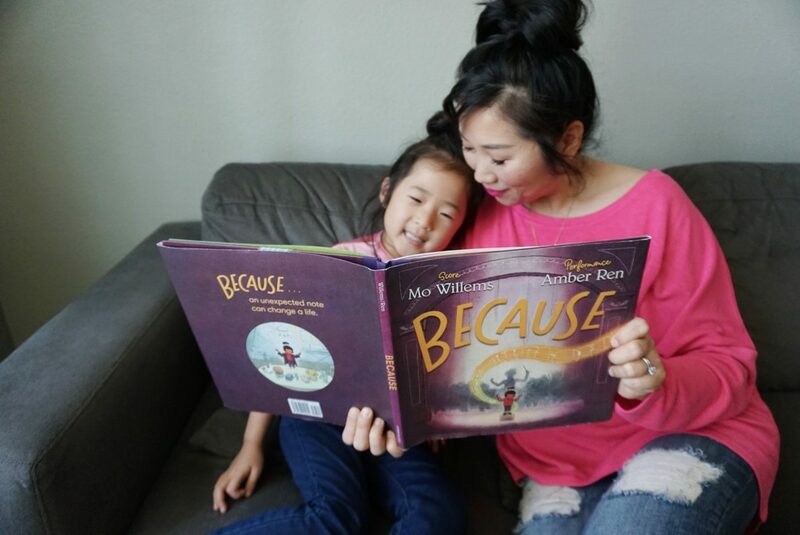 A and I enjoyed reading this story and discussing the “becauses” in her life. 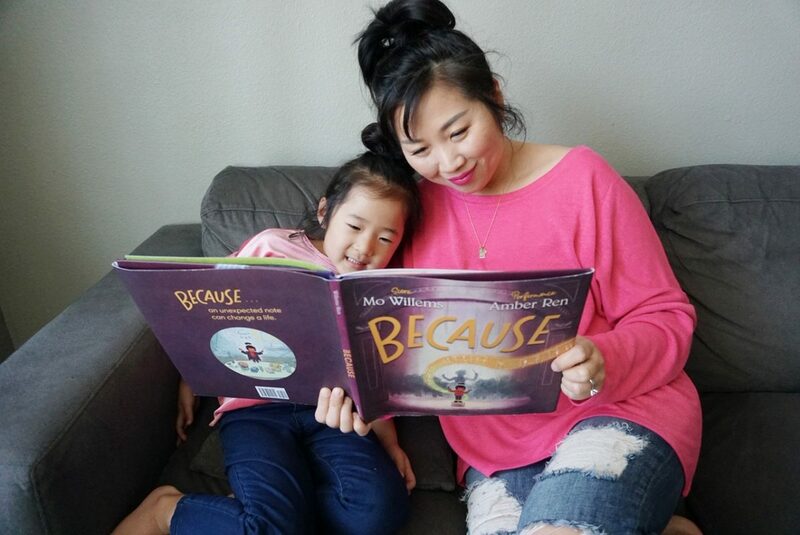 At only 5, she didn’t grasp the deeper meanings of this book but did understand how the moments were connected. Because she sees me taking pictures, she wants to be a photographer. 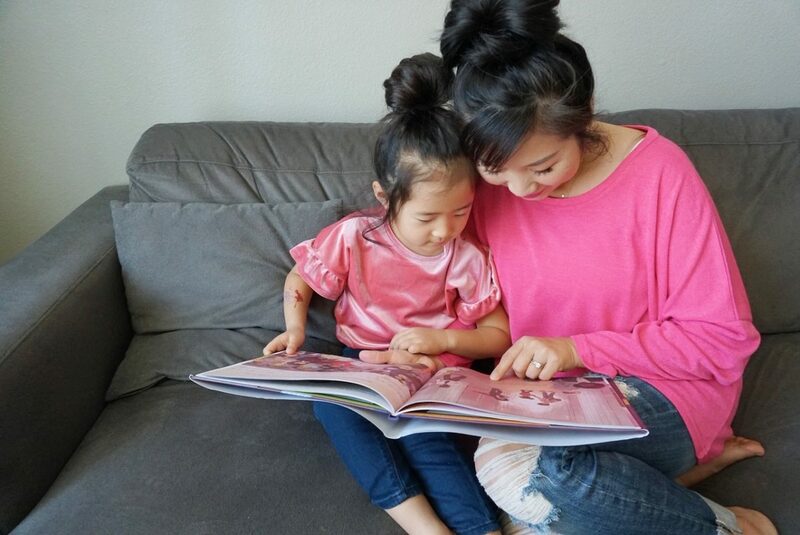 Because she is homeschooled, she has a flexible schedule and is able to learn photography with me. Maybe one day she’ll follow her dream too, like the story of Because! 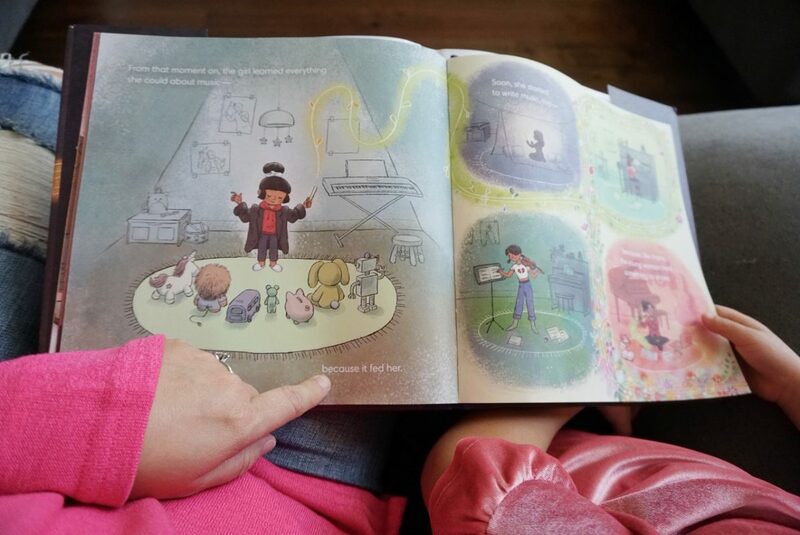 This story is enjoyable, inspirational, thought-provoking and has BEAUTIFUL illustrations. I think I might have enjoyed it more than A! It made me think and reflect on my life and all the moments that brought me to where I am now.